Originally opened at the Smithsonian’s National Museum of American History in 2008, Spark!Lab is the flagship educational initiative of the Lemelson Center for the Study of Invention and Innovation. 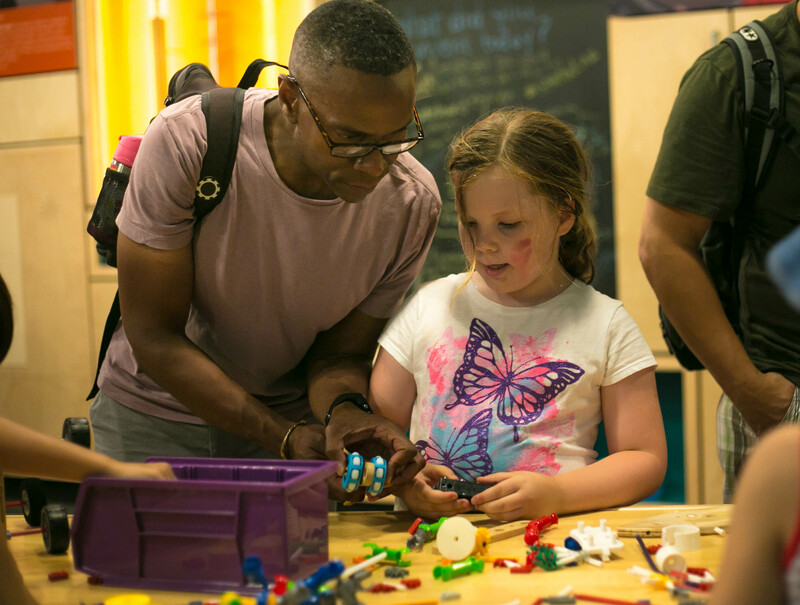 Spark!Lab is a dynamic learning space where children, families, and groups can create, innovate, collaborate, problem-solve, and invent. Through hands-on activities, they learn about the invention process, inventors and inventions in American history, and innovations that are changing our world today. Most importantly, they are empowered to create their own inventions and to solve problems in their own unique ways. Spark!Lab offers a new approach to hands-on making and learning. Visitors don’t follow step-by-step instructions or work to create a specific product. Instead, they identify problems and challenges, develop solutions, and put their own ideas into action—all while building important 21st century skills like creativity, critical thinking, problem solving, and adaptability. The Spark!Lab National Network takes this unique approach to hands-on learning beyond the Smithsonian and into educational and cultural organizations around the country .